Watching your thermostat levels is so important that it gets its own step. How many times have you walked into a building and found it to be too hot or too cold? When this happens, it’s because the thermostat is set incorrectly. When it comes to wasting energy, it’s one of the most common mistakes that businesses make. Having the correct settings on your thermostat can save you a lot of money. 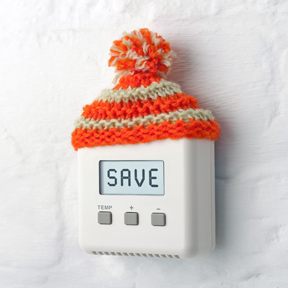 Every single degree you raise or lower your thermostat can increase your heating or cooling bills by up to 10%. 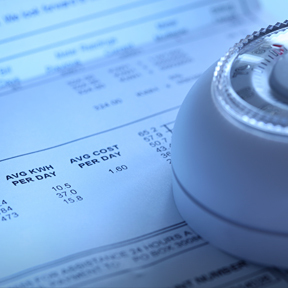 Many organisations set their thermostats many degrees higher or lower than they should be and they get big bills as a result. Many workplaces set systems to a constant 20–24°C regardless of the weather and what people are wearing. However, your thermostat should be adjusted according to the season. 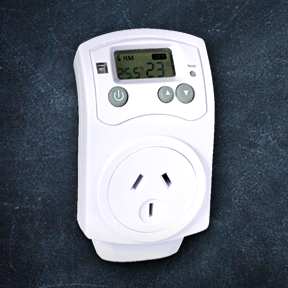 In summer your thermostat should be set between 24–27°C. If you set it at 27°C, this means your cooling will kick in only when the temperature goes above 27°C. 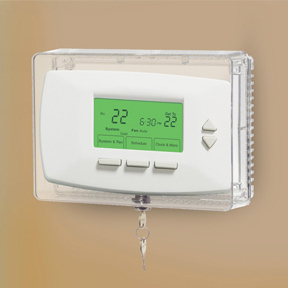 In winter your thermostat should be set between 18–20°C. If you set it at 18°C, your heating will switch on when the temperature goes down below 18°C.